Meet the ladies at Lucky Strike Lanes for a night of wild bowling! This Queen Pins Bowling Shirt is a vintage style shirt that will let the opposing team know that you're a serious bowler who is looking to bowl a perfect game! 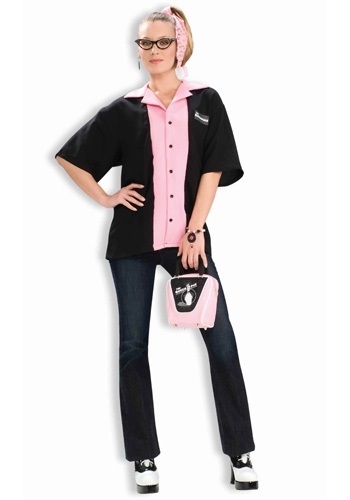 This shirt looks adorable with some Women's saddle shoes! It says chest is 48". Not even close. I'm a size 38C and I can't even button it. I measured the shirt chest and back and it measures 32". We ordered 3. They will be going back.